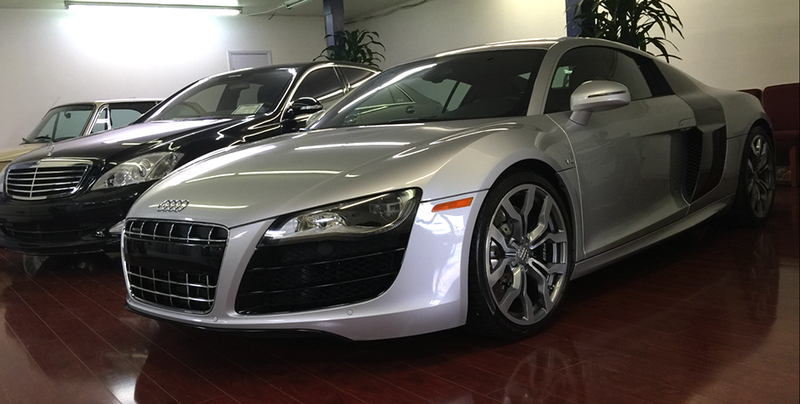 Years of experience specializing in European and high-end import cars. Let us restore that new car look with a professional detail. 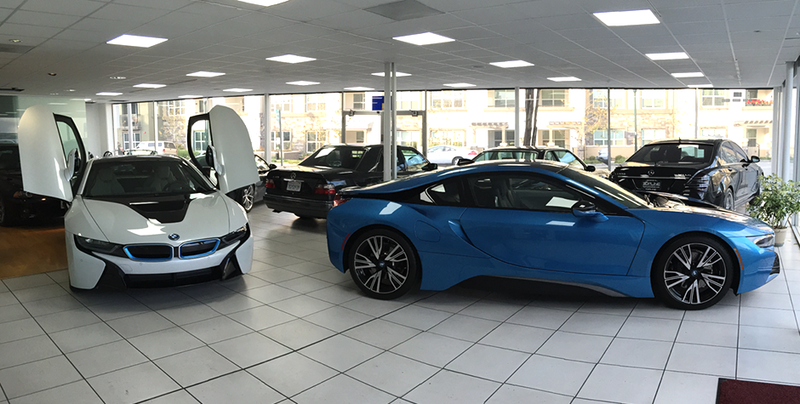 Now open in our brand new facility on Burlingame's Auto Row! Contact us today to schedule maintenance or repair. Check our inventory to find the perfect car for you. 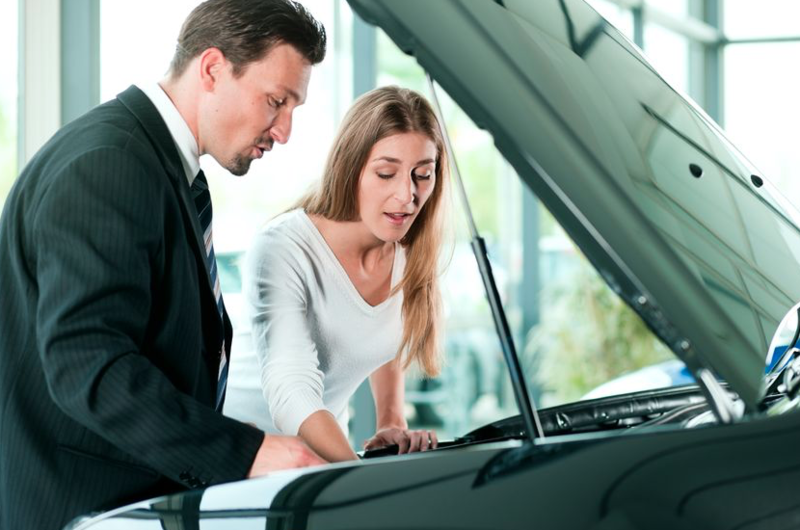 DOES TOPLINE PERFORM PRE-PURCHASE INSPECTIONS? “Outstanding!!! I have been with Topline for several years now, and they have done a remarkable job of servicing my cars. They have performed services on my BMW 750i by fixing my oil leaks, radiator leaks, and tire replacement at a very reasonable price. I have also purchased a beautiful 328i Cabriolet from them. They performed pre-sale inspection of the car, repainted all 4 wheels, removed dents before and after I purchased my new car. Zim is wonderful to deal with, and always friendly. His staff are just the same. Do yourself and favor and let Zim take care of your car; and you will appreciate the care and quality of services he will give you. Dealership and independent will leave scratches and dents on your car, but Topline never leaves a mark!” – Dave T.
“Just like finding a good family doctor, finding a good mechanic is difficult. When you do, you tend to stick with them. And so it is the case with Topline Auto, a crew of friendly and knowledgeable folks who will look after your automobile. I have been a happy Topline customer for 12 + years. They perform great work at a good price; small or big jobs including car “upgrades” on your daily driver or exotic. Topline’s new location is bright, spacious, easy to access. You can trust your ride to Topline, they will take care of you.” – Philippe Lam, Ph.D.
“Zim worked with me to fix the rim rashes on all four of my tires. The rims look perfectly brand new. Thanks Zim and Toplin!” – Edward C.
“Zim and his talented crew take such good care of me and my family. We’ve been taking our cars to Topline for over 10-years now for repairs, mods, and advice. His team has deep knowledge from exotics to off-roaders. They have maintained our BMWs, Land Rovers and Mercedes at competitive prices. Their quality work is better than the dealership. Zim and his team go beyond any expectation and I’ll always recommend Topline to our friends and family.” – Stephen L.
“From now on, Topline is the “one stop ” service for my car. Several people, I met there said that nobody else has taken care of their car/cars except for Zim. He took care of my car while I was away for a week. He kept me apprised of what ever they were found by texting me on a daily basis. He was more reasonable than other dealerships. He is continually updating to the newest technology. Topline is honest, knowledgeable, and reasonable.” – Lelana C.
“I’ve been bringing my wife’s Benz here for some time now. 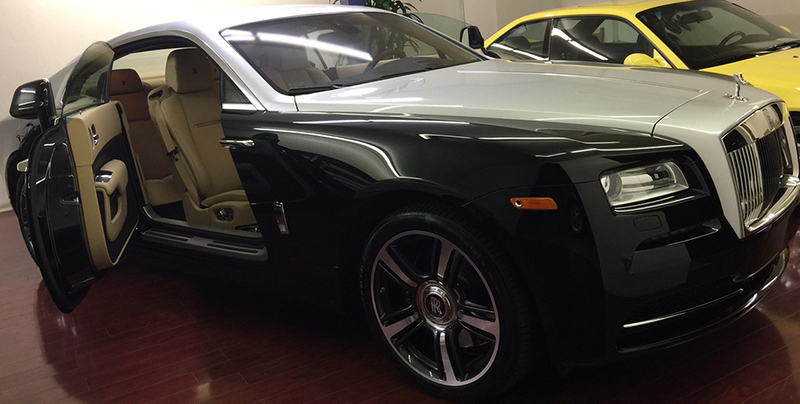 They are open 6 days a week, very knowledgeable about luxury cars, and work quickly and thoroughly. I’m happy with their service and will be back.” – Michael N.
“Zim is a very amicable person. He understands your situation and sometimes even helps with pricing. I got a small dent on my new car when I left it at a Walmart and Zim also helped with that. Overall nice people and would buy cars from them even in the future.” – Hercules H.
“Everyone is always very helpful.” – Monica C.
“Topline Automotive has been working on my personal cars and my work trucks for a year and a half now and the service has always been great. Small imports to large work trucks, the service is always top notch. I love the reports I get with great advice at what we should fix now and what can wait until later. Never any surprises and always ready when promised.” – Dough U. “I bought a car from them back in December. The whole staff is very friendly especially the owner Zim. When they sold me the car they got me a warranty for the car as well! My car is currently in the shop at Topline getting some service done. While it’s getting worked on the owner Zim was nice enough to let me use one his cars while mine gets fixed. I also had to leave for a trip and Zim told me if my car isn’t ready by that time he will do his best to get me a bigger car for my road trip. They’ve been extremely nice throughout the whole process and keeping me up to date. If you’re looking for a good reliable car, Topline is the place to go! They take pride in their work and make sure their customers are 100% satisfied!!! Thank you, Zim and Grace, for always taking care of me!! :)” – Noah P.
“Been going to Topline for three years with three of the family cars. Top service! Zim and Joey are great, willing to go an extra mile!” – Teresa C.
“Honestly – I could not be happier! Zim and Paul got me set up with a fantastic car. No pressure to buy, offered a very fair price, got me a great financing package and warranty! They were kind, courteous, patient, professional and very detail-oriented. This is the first buying experience that I felt was completely consultative, and not “selling” – they did not try to “close me” – I actually met with them several times to see the same few cars. The car has been fantastic so far – no issues at all. Not to mention that it is a RARE find – no dents, scratches or damages, low mileage, and a very transparent buying experience. This is my 3rd Mercedes Benz I have purchased – they treated me better than any of the Benz dealerships ever have – they did not try to take advantage of the fact that I’m on the younger side with respect to car buying experience. Take a look at their inventory before making a buying decision anywhere else. I checked out 4-5 other dealerships in person and probably 15 of them online. I have never felt more comfortable and informed while making a car buying decision. I feel comfortable enough to send my 90+year old grandma here for her next car without my or my father’s advice. I know she and anyone else will be in great hands with Zim and Paul.” – Corbin F.
“I can’t see why anyone could say anything negative about Topline Automobile. This is definitely one of the best shops in the Bay Area hands down. Why? Because it’s an honest shop. The mechanics are professionals and know what they are doing. I’ve been here many times and if I have a problem they can fix they will. If not they refer me to another shop who specializes in my problem. I only let Topline work on my cars: S550, Lorinser S500, BMW, Porsche 911 and 991 Turbo. Why? Because I trust them and I’m always satisfied with the results. I know there are other shops out there but I don’t waste my time. Zim, Joey, William, Paul, and Grace have never let me down! 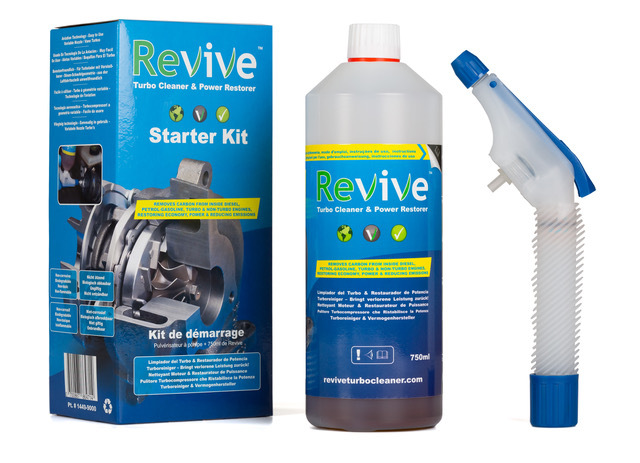 All my vehicles are running great thanks to Topline and when I have a problem I’m not nervous about talking to them to solve it. They have the answers. A friend of mine once said you can take your vehicle to the dealer and get charged twice as much for the same work, or you can also take your car to the wrong mechanic and be sorry about that as well. Topline does quality work and has excellent prices and the staff is wonderful. That’s why I give it 5 stars: Trust, quality of work, customer service, affordable cost, and plenty of parking and easy to locate. Thanks, Topline Automobile! Sincerely, Ricardo from the Bay Area” – Ricardo S.
“Got our pre owned Audi here and we continue to have a great experience with the Topline team. From test drive, checking out the car components, and signing contract, we had a smooth enjoyable experience because they were nice and knowledgeable, felt no pressure at all. The few minor maintenance our car needed is being taken care of at their maintenance garage. By the way, if you want to see a great collection of luxurious, super cars, and street mod cars this is the place to go!” – Emmanuel C.
“Worth giving 5 stars, customer service is awesome. Zim and Grace are really kind and know how to look after their customers. It doesn’t matter if you’re buying new or used, you need this kind of attitude and confidence.” – Naval G.
“Topline has been my shop since 2006 when I needed a local place to install performance tires on my BMW. Tire Rack recommended Topline and since then I’ve used it for all my maintenance needs. German cars can be expensive to keep in top form but I always felt that Zim charged a fair price for his work. Ten years later it was time to replace the aging bimmer with an upgrade. Since Zim also sold used cars, I turned to him for help. My needs were specific and I had a short list of 6 candidates. Four months later, I’m still waiting for my #1 choice…but my wife is thrilled with her (practically) new Mercedes GLK (#3 on my list). During that whole time, Zim was going to weekly auctions and texting me with the latest info on any vehicle of interest. He went over and above what I expected. But he just wouldn’t quit until he delivered something to my satisfaction. It’s that kind of extraordinary commitment that brings me back to Topline every time.” – Holger A. “I’m giving Topline Automobile 5 stars for several good reasons. 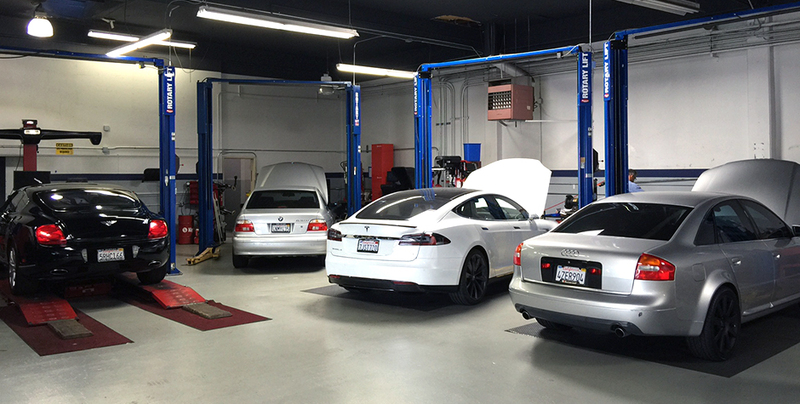 The first is the level of customer service, second, the Mechanics are some of the best in the Bay Area! The prices are always lower than the local dealer charges, there is plenty of free parking and they have a good selection of nice vehicles to purchase. Topline can handle anything and they do it professionally and efficiently and its a very clean shop I’m very picky about my cars and I won’t let anyone work on my vehicles. You have to know what you are doing before I drive my car into your shop. I’ve been coming here for years and they have never ever let me down that’s why I come to Topline. They are the best I wish I could give them 10 stars.”- Ricky R.
“Zim(owner) is a professional who knows what he is doing, he also knows how to take care his customers. He is your friend to help you always for anything. It doesn’t matter if you are buying new or used, you need this kind of attitude and confidence from the dealer. I recommend TopLine over any dealer I have experienced !! !”- Ceko O. “Excellent service. Talented and trustworthy team of mechanics and customer service reps. Zim and his whole team are incredible.”– John Henry F.
“My father started going to Topline with his 1990 Carrera 2 over 15 years ago. That was 3 porsches back and I use them for all the work on my 1991 944S2 Cab including our 2 Audis and my girlfriend’s 2002 E320. An incredibly fair and competent shop with only the best of service. Their new location is fantastic and I have never hesitated to recommend them to any of my friends or Porsche Club members. Even for special cars like the BMW M1 there is no other dress in our area I could or would feel comfortable recommending. The entire team there is rock solid and I always enjoy just stopping in to talk cars when I am in the neighborhood. 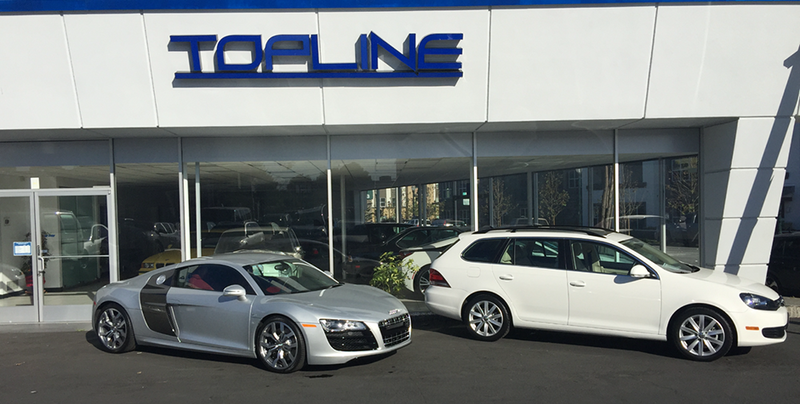 I started with a great shop but have gained true friends I can trust as well.”– Local R.
“Topline Automobile is one of the Best Automobile shops in the Bay Area hands down and I’ve been all over the bay with my vehicles until I found them and I’ve been with Topline now for years.”– Ricky R.
“I picked up a very clean car from these guys last year. The process was good; no sales BS… easy to deal with and forthright… focused on getting it done… I would definitely use them again when I’m in the market for a new toy.”– Klaus M.
“A wonderful experience and I strongly recommend using Topline Automotive for any cars you are planning on selling.”– Brian C.
“I have been taking all my cars to Topline for almost 7 years now and have never had a bad experience.”– Geoffrey C.
“Brought my ’07 335 in for rash repair on three of the wheels. I’d taken it there before and they did a splendid job on the repair and also on blending the paint… the work quality is excellent.”– Timothy S.
Sign up to get news and seasonal offers sent right to you.